Obedience training is probably the most important aspect of raising a dog. In fact, a well- trained dog is by far a happier dog! Why? Because a trained dog requires fewer restrictions. The more reliable the dog, the more freedom he is given. A well-behaved, obedience trained dog is a pleasure to own because he can go virtually anywhere without being a risk or nuisance to others. And don’t we all want a dog who exhibits appropriate behavior in a crowd, good manners when we have guests in our home, is reliable around children, and who doesn’t threaten other dogs or passers-by? Training serves to strengthen the bond between a dog and his owner. It builds communication, understanding, and mutual respect, and subtly but effectively demonstrates to your dog that you’re the leader of the pack (commonly referred to as the “Alpha”). And if your dog doesn’t respect you as his leader, you may both be in big trouble, particularly if he’s a bit rowdy or dominant by nature. The bottom line is that dog obedience training truly benefits everyone. Obedience training takes more time than you might imagine- both from the person actually doing the training and the owner. Regardless of what anyone might tell you, don’t think for a moment that you can leave your dog for a training class, come back in a week or so, and take home your well-trained, well-behaved dog that obeys your every command! If it worked that way, anyone coming into contact with your dog could have control of your dog. Be prepared to dedicate as much time as is necessary to work with your trainer and your dog to achieve the level of results you desire. 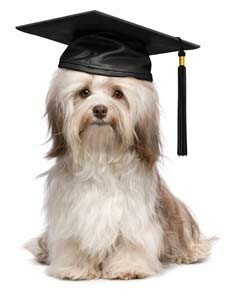 Puppy Pre-School covers 5 days and consists of 4 thirty minute instruction periods per day. Doggy Day Care is included. Puppy Pre-School is for pups that are 12 to 24 weeks old. Proof of vaccinations is required. Owners will be given a daily progress report and suggestions on training re-enforcements to be used at home. You’ll receive a final Report Card and continued training suggestions on completion of the course. Want to schedule a Puppy Pre-School session or make a Boarding reservation? Email us your reservation requests at info@barksdaycare.com. Basic and Intermediate Training Programs.